Accessorize any outfit with one of our white bandannas! 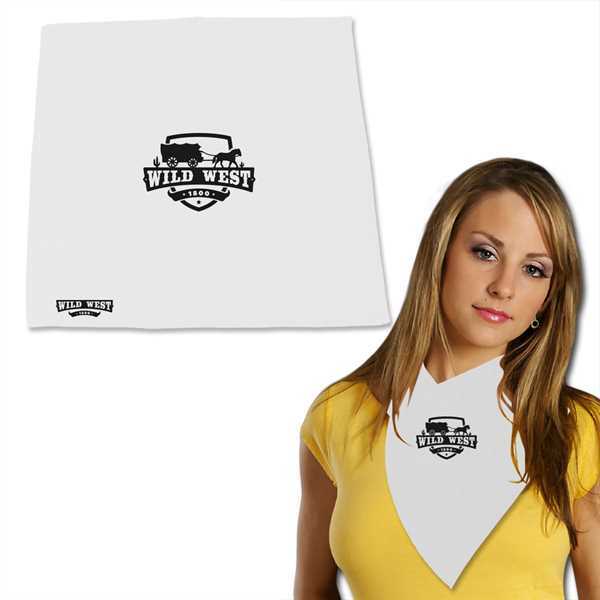 A perfect accent to a costume or a decoration where white fits your color scheme, each bandanna measures 22" x 22" is made of 100% cotton and can be customized to your liking with a silkscreened company name, logo or marketing message. It's also a great choice for outdoor workers who need to keep sweat out of their faces and can be a classic accessory for dogs as well. Make a stylish choice by investing in yours today! Size: 22 " x 22 "
Imprint Size:Center = 7" x 4", Edge = 7" x 1 1/2"